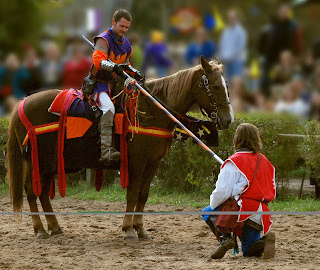 Don't you love Renaissance Faires? I do. I enjoy celebrating bygone times and events steeped in culture and tradition. When the RenFaire came to Tallulah Falls, I really enjoyed having a booth there. In addition to other embroidery kits and completed pieces, I highlighted blackwork embroidery because it was popular in England during the 16th and 17th centuries. If you think you'd be interested in blackwork--either to put on your Renaissance Faire costume or tea towels, pillowcases, etc., then check out The Blackwork Embroidery Archives for some tips and free patterns. If you aren't terribly interested in blackwork, but you really would like to attend a Renaissance Faire, then check the RenList to find one near you. Whether you dress up or not, be sure to enjoy other people's costumes, the entertainment, the food, and the vendors! It's fun to pretend to step back in time...especially when you can step back into time (and electricity, and modern plumbing, and medicine, and hygiene! LOL!). 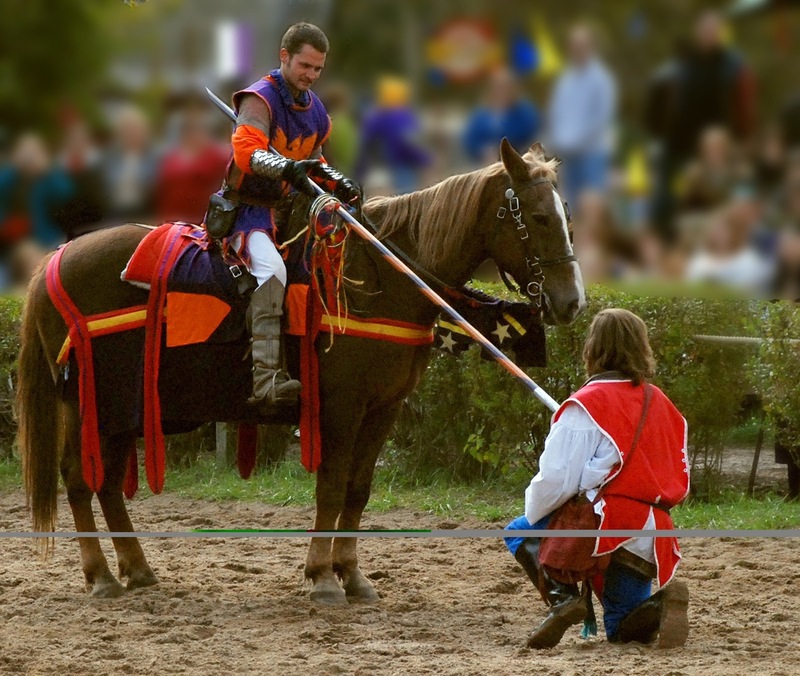 Do you enjoy Renaissance Faires? Or is there another type of festival you prefer? 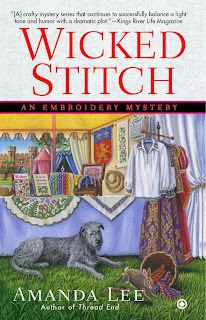 I'm having a giveaway featuring Wicked Stitch at Fresh Fiction this month. The contest runs from August 7 - August 28 and is part of their Dog Days of August celebration. 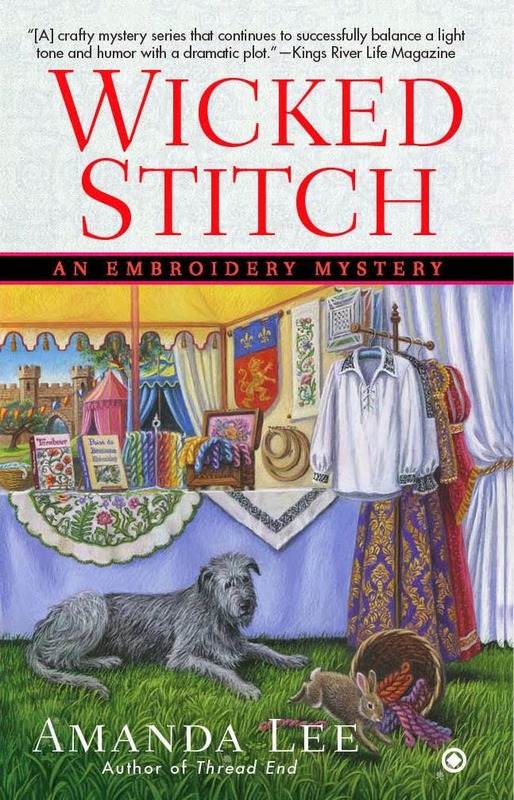 Wicked Stitch was first published in April of 2015, received great reviews, and was nominated for RT Book Reviews Amateur Sleuth award for 2015. In the Fresh Fiction giveaway, one reader will win a signed paperback copy of the book and a $10 Amazon gift card. You may enter at http://freshfiction.com/contest.php?id=9180. I love this series!! I'm not really into faires, it's the crowd that's an issue. I haven't been to a Renaissance Faire in 30+ years. I prefer county fairs.